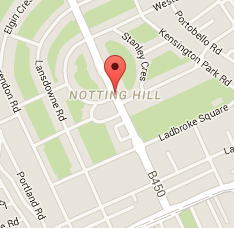 You’re looking for a comprehensive and high-quality cleaning services in Notting Hill W11? If so, Pro Cleaners Notting Hill has exactly what you need! We are the most popular cleaning services provider in the area and as such offer all types of packages including after builders and end of tenancy cleaning, sofa, carpet, oven cleaning – you name it and we’ve got it. The company attends to both commercial and residential properties. It doesn’t matter whether you need a one-off tidy or a regular cleaning – our dependable and fully-trained cleaners are there whenever you need their services. Get in touch with us to book a cleaning service – this is the best decision for you and your home! Over the years we have established a reputation of the best and most dependable cleaning service contractor in W11 Notting Hill. We know it’s not easy to allow a stranger in your home, especially when you are not around to supervise them. That’s why we employ only background-checked technicians and cleaners who follow strict security policies. There is no need to worry whenever they are in your home. In fact you can trust them to do their job even while you are at work. Besides you can rest assured the quality of their work is always outstanding as all of them are professionally trained to deal with all types of cleaning procedures. They use only specialised equipment and eco friendly, biodegradable cleaning solutions. Don’t hesitate to contact us for a free estimation of your home’s cleaning needs. Our technician will arrive at the appointed time to evaluate what needs to be done and how much will the service cost you. As we always offer free quotations you can decide whether or not the service’s price suits your budget. Since we work seven days a week, you can hire one of our cleaners even on weekends. The road to a perfectly clean home is short, in fact it is just one simple phone call away. So why not grab your phone and dial our number to book one of our cleaning packages in W11 Notting Hill? We are always there at your convenience!